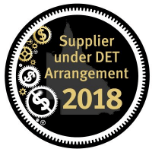 Located approximately 1,535 kilometres north of Perth, the City of Karratha is the youngest and fastest growing town in the Pilbara, Western Australia. Karratha is composed of nine main suburbs including Karratha City Centre, Nickol West and Roebourne among others. 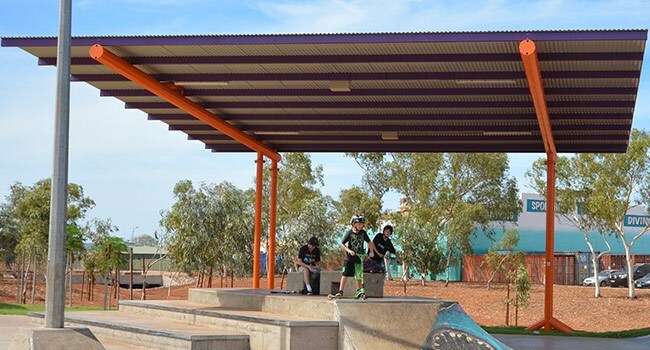 With Karratha council continuing to focus on youth welfare they recently added six (6) more cool aesthetic custom design shelters for the three (3) skate parks in Karratha area namely the Karratha Youth shed, Roebourne and Nickol West. 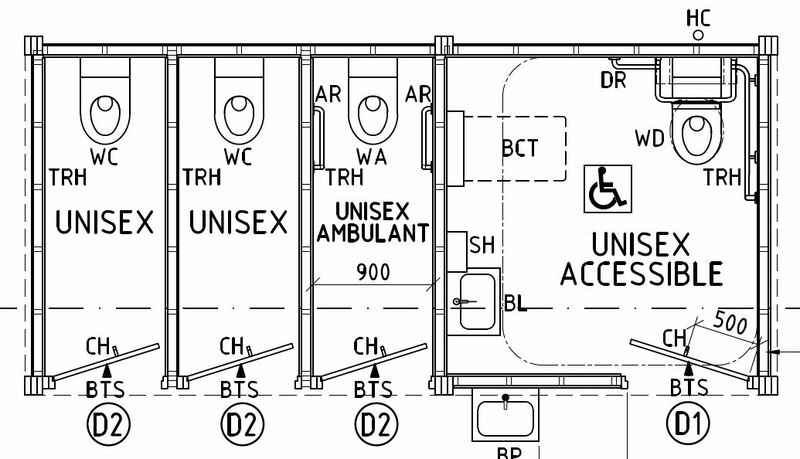 The Karratha Youth Shed is located on the corner of Hillview and Balmoral Road in the Karratha City Centre. This family friendly facility houses several recreational facilities to be enjoyed by all ages. Landmark supplied and installed the two (2) 12.0m x 10.0m custom cantilever shelters which were placed around the skating boarding area. The cool looking cantilever design was chosen due to the lengthy shade zone which expands out over the skate area without the need for intruding posts. Both shelters were placed for maximum sun protection with sun modelling carried out. Both of these shelters also have solar LED lighting supplied which were supplied in kit form and installed by Landmark Products. Roebourne, situated 30 kilometres east of Karratha, is the second skate park location. 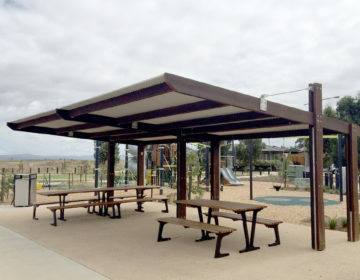 Landmark also provided two (2) custom cantilever shelters for Roebourne, one at a smaller size of 8.0m x 10.0m and another with a size of 10.0m x 12.0m. These two custom cantilever shelters were placed facing each other to extend shade coverage on the track throughout the whole day. These shelter structures were manufactured using steel, hot dipped galvanised and powder coated in the City of Karratha colours of yellow, orange and blue. Nickol West is the third skate park location and approximately 5.6 kilometres from the Karratha City Centre. 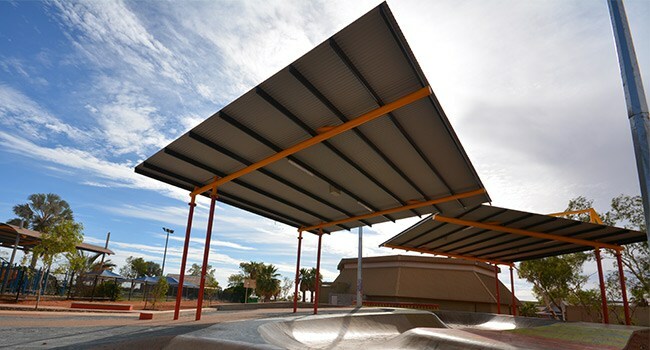 The Nickol West skate park like the Karratha Youth Centre has two (2) 12.0m x 10.0m custom cantilever shelters which were placed around the side skating boarding area. This position was also chosen supported by shade modeling to give the best location for maximising shade during the hotter parts of the day. All these shelters were designed and third party certified to Regional D, Category 2, IP2, Wind Gust 88m/s making them strong enough to cope with the areas cyclonic season. We supplied these shelters in kit form for easy and safe installation. Landmark Products carried out the full installation of all shelters. 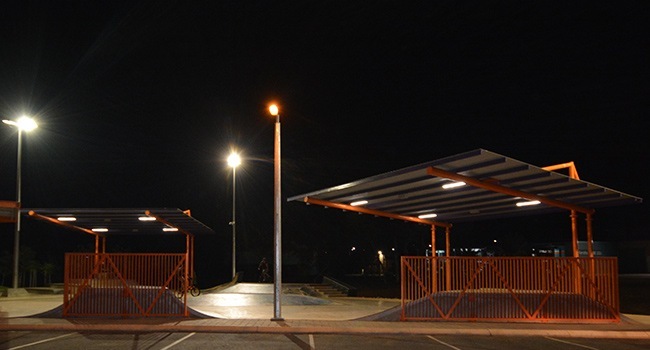 We provided and installed our anti vandal LED lighting kits and worked with Karratha City Council and Surefoot to find a footing solution that was suitable for the sandy soil and reduced depth of footing we needed to meet in high wind design pressure conditions.